The book The Biggest Legal Mistakes Physicians Make: And How to Avoid Them advises doctors to take “proactive steps to minimize the effect of any discipline that might be imposed”. While disciplinary measures are designed to protect the public, the physicians themselves often need protection as well. 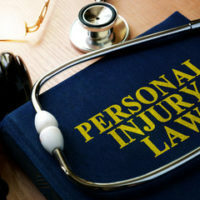 With the Medical Licensing Board of Indiana and the Indiana Professional Licensing Agency each prohibited from providing legal advice, physicians who feel their livelihoods are being threatened must turn to the legal profession for help and guidance. Here at Ramey & Hailey Law, in fact, our attorneys are increasingly called upon to help besieged doctors deal with the emotional as well as financial damage they have suffered as a result of the harsh punitive effects of the physician licensing and disciplinary system. Worst of all, Schlafly claimed, physicians feel pressured and intimidated to protect their own licenses by altering care to patients. Caught ”between a rock and a hard place”, doctors must take the “safest route” to satisfy their insurance company, rather than providing the treatment most appropriate for the patient. Many beleaguered physicians have turned to Ramey & Haley to help them defend their rights. The challenge, as Schlaffly so correctly pointed out, is that under the current physician disciplinary system, physicians do not have the right to request a public hearing (which their patients could attend). They do not have the right to full cross-examination of any witnesses testifying against them. ”It’s something that every physician dreads – a notice from a state medical board,” writes Capson Physician Insurance. The process, for some, Capton admits, may be even more harrowing than a medical malpractice lawsuit. While disciplinary measures are designed to protect the public, the physicians themselves often need protection as well.